​"There is something about the outside of a horse that is good for the inside of a man"
Our Executive Director was recently honored as one of "100 Difference Makers" in the nation and Out Side In was awarded a $10,000 grant by Teachers Insurance and Annuity Association. There were over 4000 nominations for this award. In addition, Huffington Post chose Out Side In for a short documentary on our Heroes for Horses Program. Click HERE to see the video! In the last eight years, Out Side In has provided over 10,000 hours of Equine Assisted Psychotherapy to people who have been victims of trauma or suffered from other emotional and mental health issues. Out Side In currently serves over 100 people a week. In the past four years, Out Side In has rehabilitated and re-trained over 20 Off The Track Thoroughbred Horses giving them a chance at a second career after the racetrack. 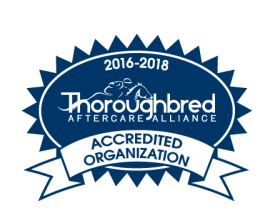 We are extremely proud to announce that Out Side In was awarded re-accreditation for from the Thoroughbred Aftercare Alliance Out Side In is one of only 70 organizations in the nation to receive this accreditation..
Our very own Executive Director, Jennifer McVoy, was recently named Fox 17 Pay it Forward Person of the Month! ﻿﻿Our Heroes for Horses was recently featured on News 8 Day Break. Click the link below to check out the great story on our Horses and ﻿Heroes! 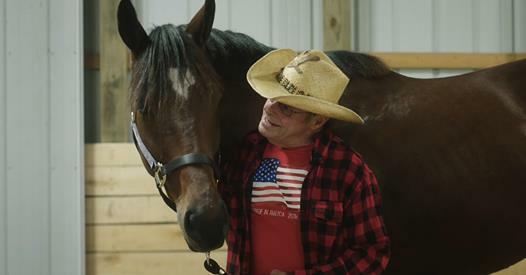 ​Out Side In was so proud to be named a finalist for the second time in TV8's Connecting with Communities Awards for our Heroes for Horses program! We were honored to be one of The finalists for TV8's connecting with communities awards.